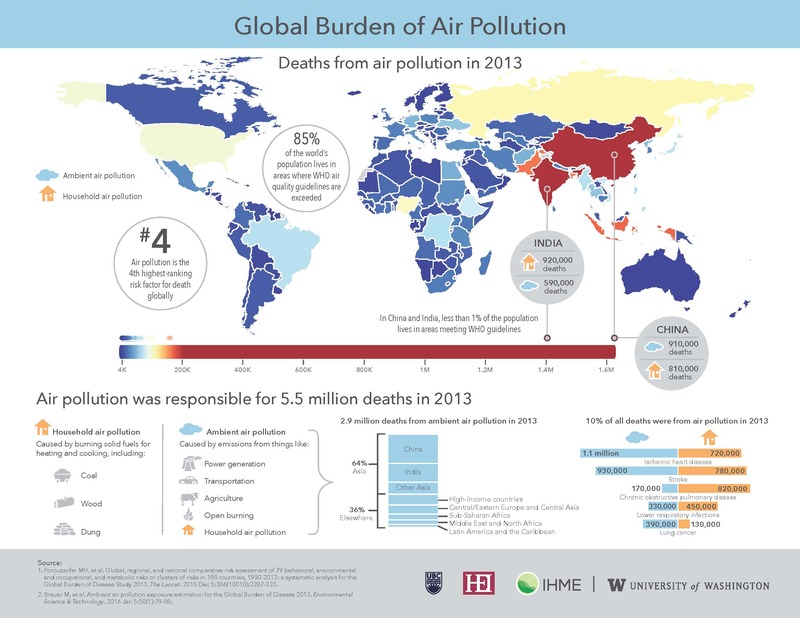 I was shocked to read that air pollution kills 5 million people/year and 1.4 million of those are from India! I knew China has a huge pollution problem and it is constantly discussed and at the forefront while in India this issue does not receive much attention save a few news articles once in a while. Do take note that this data is from 2014. Who knows the number of deaths has increased in the past 2 years.